 PACK YOUR TOOLS & SHARPENING FORM, THEN MAIL THEM! WAIT FOR RECEIPT CONFIRMATION. 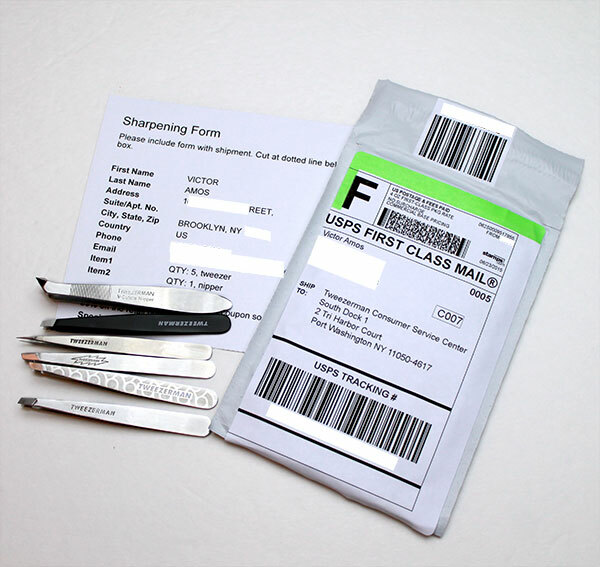 Once Tweezerman receives your order, they will send you a confirmation number.